Annie, Zoe, and Gemma are known as the Teashop Girls because they grew up hanging out at The Steeping Leaf, Annie’s grandmother Louisa’s tea shop in Madison, Wisconsin. 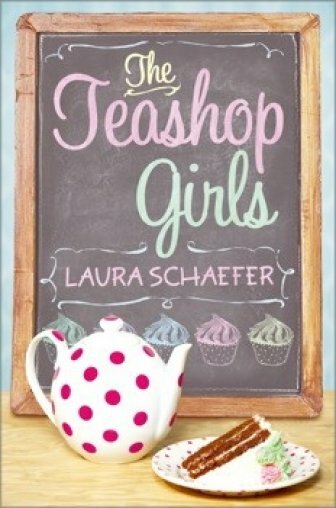 The eighth-grade girls have started to drift away from each other, but when the tea shop is in trouble, the Teashop Girls reunite to save The Steeping Leaf. Annie gets a first-hand look at the neighborhood business and its struggles while trying not to get too distracted by her crush on Jonathan, the high school barista. After the failure of Jonathan’s plan to modernize the tea shop to be like the new coffee shop next door, Annie and the Teashop Girls have to bail out the tea shop while also dealing with relationships and friendships. Each chapter starts with a quote about tea and ends with a historic ad about tea. The Teashop Girls provides a behind the scenes look at running a neighborhood tea shop. The book examines a few different business strategies and marketing tactics and is filled with examples of great customer service. If your daughters enjoy this book (if they like tea they definitely will!) there is a sequel: The Secret Ingredient. The Steeping Leaf went through a few different business strategies in search of one that would improve sales. Louisa’s original strategy focused on a wide selection of tea and good customer service, but the store struggled because she did not know how to find new customers. Jonathan, the college economics student, unsuccessfully tried to make the shop more like the new coffee shop across the street (fewer tea choices, higher prices, less comfortable seating) which changed the shop’s identity and annoyed the remaining loyal customers. Finally, Annie and her friends restored the shop to its pre-Jonathan identity and started an aggressive marketing campaign to win back customers and find a new generation of tea drinkers and Teashop Girls. Annie and her friends used a number of different marketing tactics including partnerships with local businesses, handing out coupons, passing out samples at school to attract younger customers, talking to the media, posting fliers, and creating buttons and stickers for the next generation of Teashop Girls. Some of the plans were more successful than others but almost all helped to boost traffic and sales. Other business topics touched upon in the book include customer service, cash flow, competition, managing inventory, and ownership structure. Think of two different stores in your community that sell a similar product in a different way (two restaurants? coffee shops? ice cream stores?). Ask your daughter to compare the two stores and describe the different business strategies using the chart in the Girl Entrepreneur’s Reading Guide below. The Steeping Leaf was open for over thirty years because its owners made people feel special and the tea shop felt like an important part of the community. Ask your daughter if there are stores in your town that make her feel special? Are there stores where she sees the same people working each time she visits? How does that make her feel as compared to a larger store where the employees don’t know (or seem to care about) the customers? 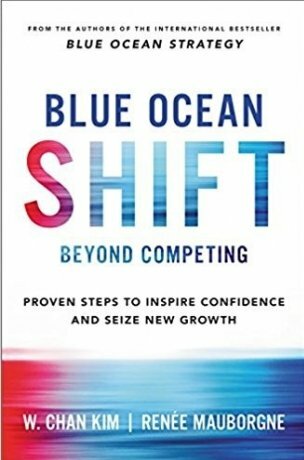 My favorite book for adults that parallels the different business model aspect of this book is Blue Ocean Shift: Beyond Competing. This is a follow-up to Blue Ocean Strategy, a classic business bestseller. The idea of the Blue Ocean is to redefine your business and shift from the red, blood-filled ocean filled with competition to a blue ocean of uncontested market space. The book explains how to move yourself and your company to uncontested waters thereby increasing your organization’s confidence and growth. Filled with case studies and how-to examples, the lessons are equally relevant for large and small companies, public sector organizations, and non-profits.